Went to a party last night with my kids, but my wife and mother-in-law were sick, so not only was I in charge of the kids, but I also lost my designated driver. The amount of food was awesome and so was the deliciousness. I stuffed myself. My kids, on the other hand, didn't eat a single nibble. That is partially due to their horrible eating habits, but also because they were fascinated with the trampoline in the back yard and the Wii in the living room. I did manage to beat up on a six year old in a game of Chess, so in all it was a great evening. 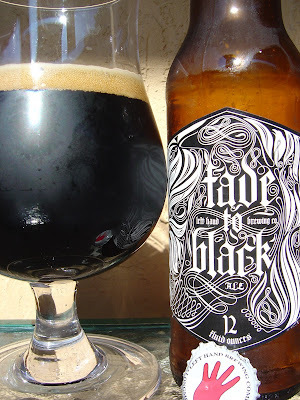 Today I'm drinking Fade to Black Volume 2: Smoked Baltic Porter brewed by Left Hand Brewing Company in Longmont, Colorado. 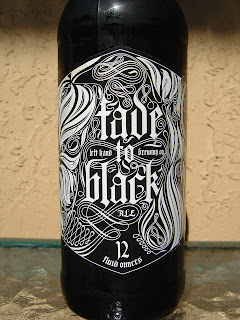 I think Fade to Black is their seasonal series which changes each year. Anyway, I didn't have the opportunity to drink Volume 1. 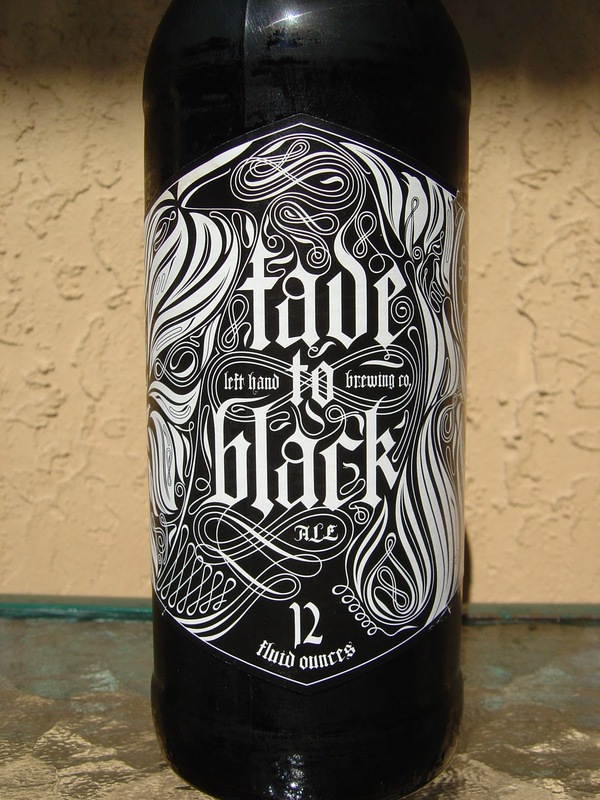 The label if very cool, with a seemingly random continuous line all in black and white. The label was designed by Moxie Sozo with art work done by Nate Dyer. Bottled on 11 11 10. Dark malty chocolate aroma with tons of smoke on top of that. Very smoky start to the flavors as well. Malty sweet fruity plum, chocolate and caramel play supporting cast to the smoke. Yes, it is that prominent! The smoke makes the beer taste like you're drinking it at/in a barbecue. There are also roasted coffee flavors that add to the complexity of the beer. Smooth, balanced, carbonation on the low side. You know, or maybe you don't, but I've been know to complain about smoky flavors in beer, even to the point of saying I hate them. 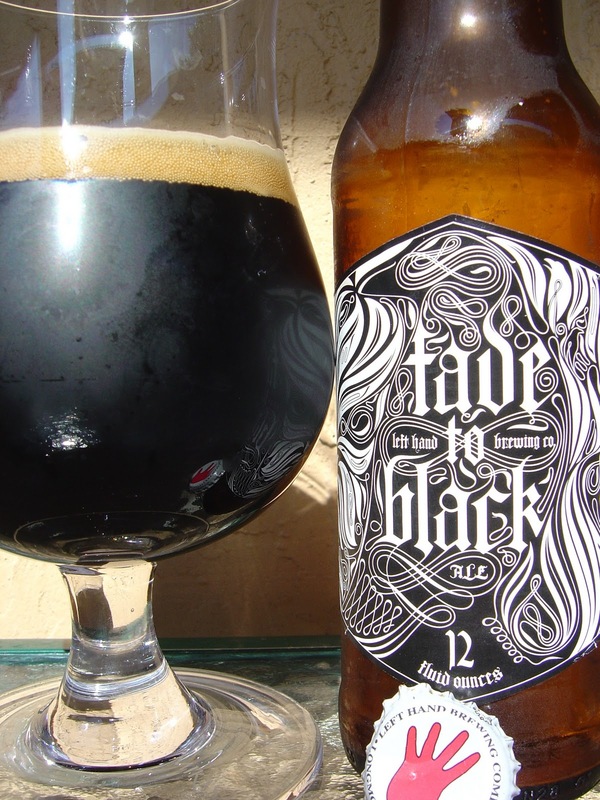 But in this beer, the sweetness battles king smoke and they complement each other terrifically. There is not a harsh or hot or ashy component anywhere. I almost didn't buy this beer, but I'm so glad I did! I really enjoyed it. Check it out!